History is pretty awesome, we have to admit. But wouldn’t it be even more awesome with zombies, monsters and aliens? The prints and cards sold in the Etsy store Alternate Histories take beautiful historic images and make them way, way better with the addition of some otherworldly elements. 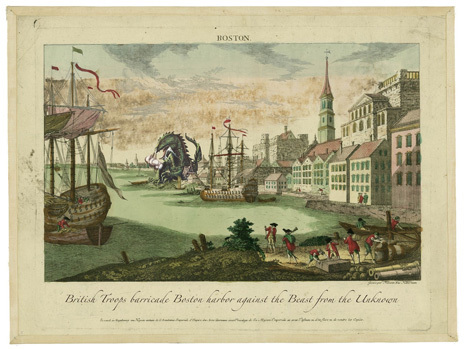 In these revised versions of world history, the Boston Tea Party was an attempt to drive away a troublesome monster. 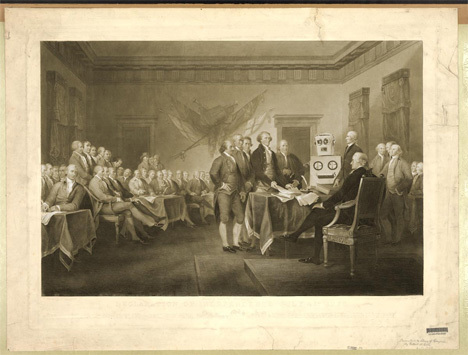 The signing of the Declaration of Independence was witnessed by Metallo the Mechanical Man. 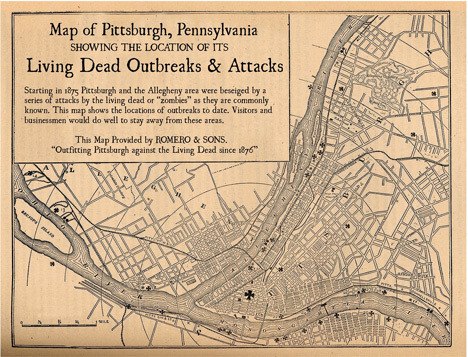 A zombie outbreak nearly decimated Pittsburgh in 1875, and 1932 was the year of the first Zombie Killing Games. 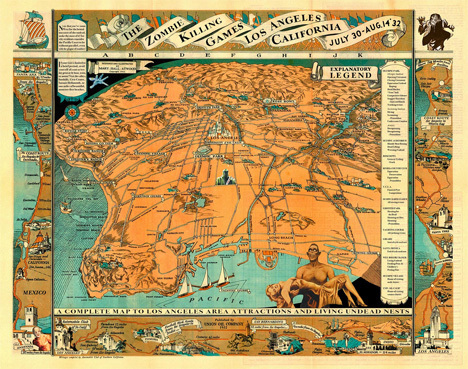 Alternate Histories is the brain child of Pittsburgh artist Matthew Buchholz, a creative type who gets his jollies by inserting sci-fi elements into historic photos and maps. His creations often look inconspicuous enough from a distance…but when you examine them closely you notice all kinds of creative additions. They may not win any awards for accuracy, but these awesome works of neo-historical arts will definitely start some interesting conversations when visitors to your home take a close look at them.